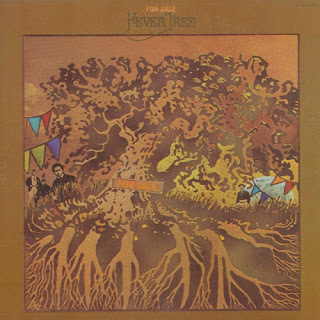 In 1970 the American Psychedelic Rock band "Fever Tree" released their fourth album "For Sale". A quick glance at the liner notes indicated the band had basically collapsed with keyboardist Rob Landis and drummer John Tuttle credited as 'formerly of Fever Tree'. Their places were taken by former Byrds drummer Kevin Kelley, keyboardist Grant Johnson, and various members of the Wrecking Crew and The Blackberries on ill thought out backing vocals. In an online interview guitarist Michael Knust expressed few memories of working on the LP. In fact the only track he seemed to have any recollections of were putting lead guitar on the group's cover of Love's 'She Comes In Colors'. Most of the material was less than impressive with Keller sounding particularly uninspired (on a couple of tracks like You're Not the Same Baby'' he actually sounded like he was singing with marbles in his mouth). As for the side long 'Hey Joe' cover - well ... it was long. For his part lead guitarist Michael Knust was all but absent from the proceedings. That left the two Mainstream songs ('Hey Mister' and 'Girl Don't Push Me') and the Love cover as the album highlights. The album included a cover of Screamin' Jay Hawkins' "I Put a Spell on You."